The hand-rolled Camacho Ecuador cigar is a beautifully balanced blend of unusual and intense flavors derived from the Ecuador Habano leaf, one of the most versatile wrapper leaves in existence, paired with high-priming Honduran and Dominican Pelo de Oro ligero filler tobaccos and an earthy Brazilian Mata Fina binder. The medium- to full-bodied Camacho Ecuador looks and smokes beautifully while delivering a wide range of complex flavors with blasts of pepper and hints of citrus and floral throughout. 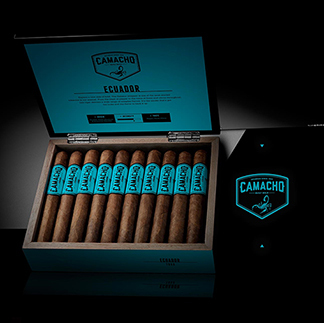 There's no mistaking it's a Camacho with plenty of boldness and flavor that does not back down.